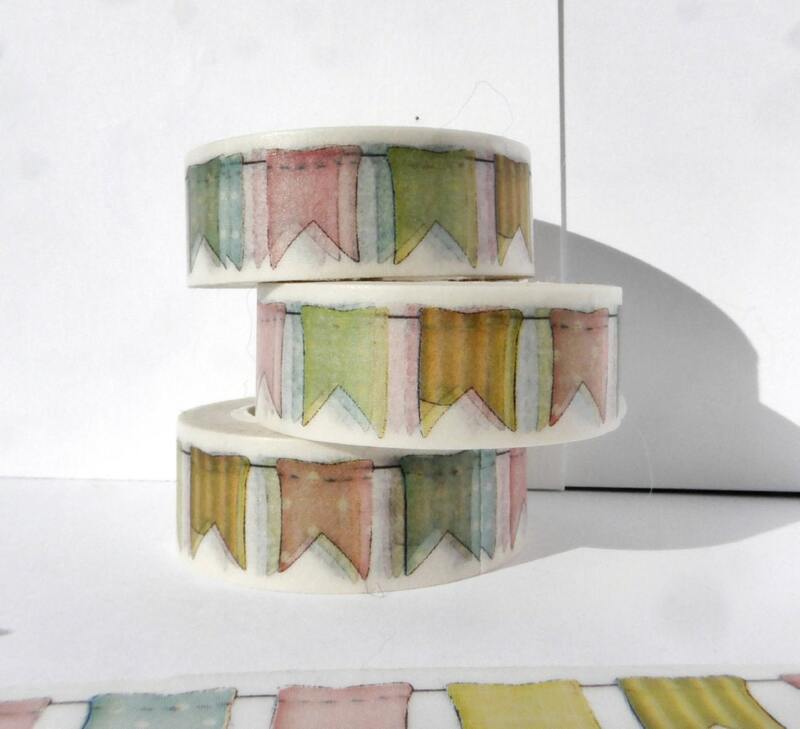 This washi tape has bunting in soft colors. 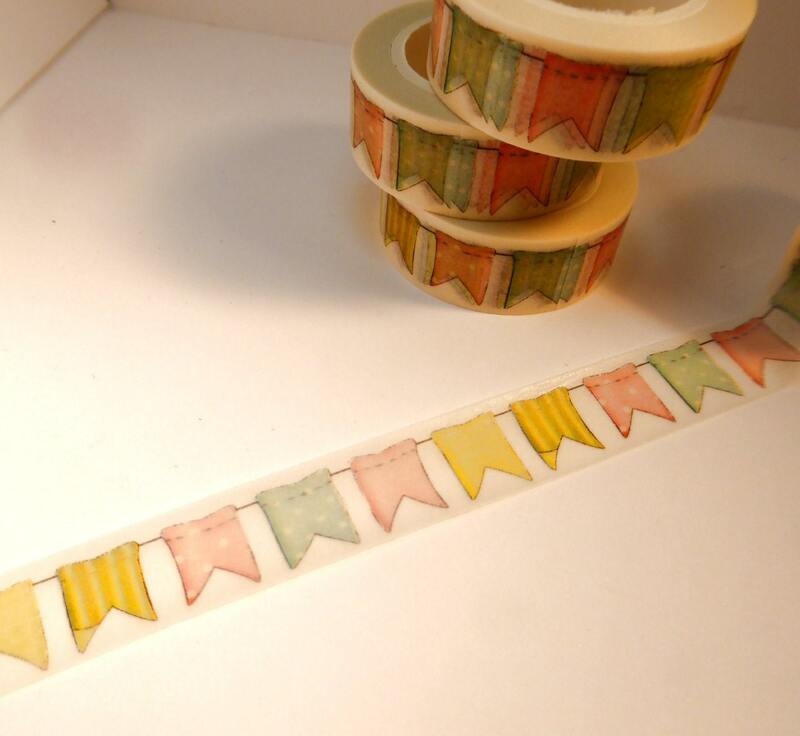 It could easily be used for baby shower scrapbook pages, but the colors are versatile enough to be used for any celebration! 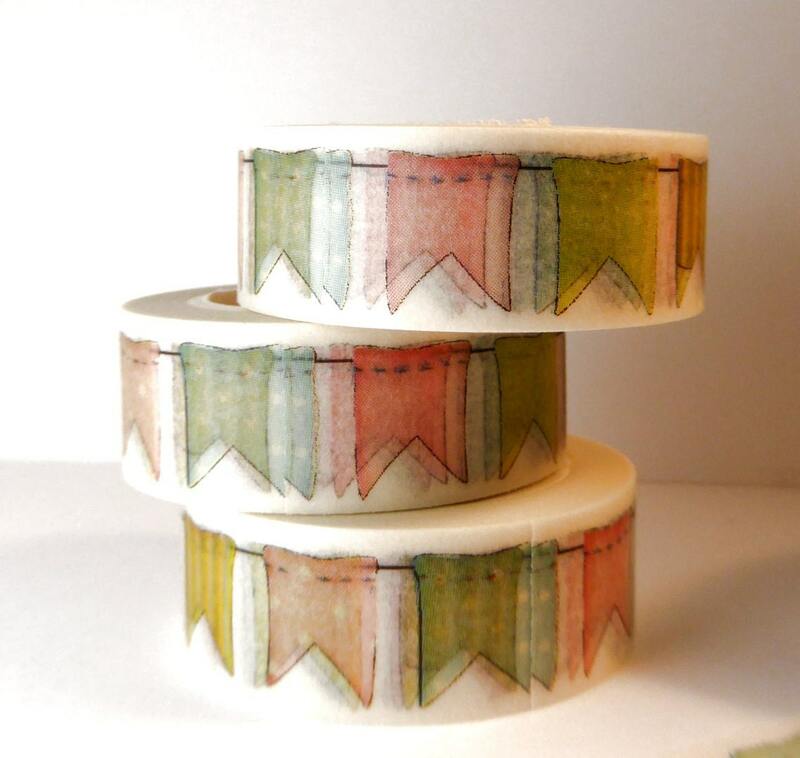 Fun to use in scrapbooks, mixed media art, paper crafts, and card making. Or decorate your office tools or school supplies. 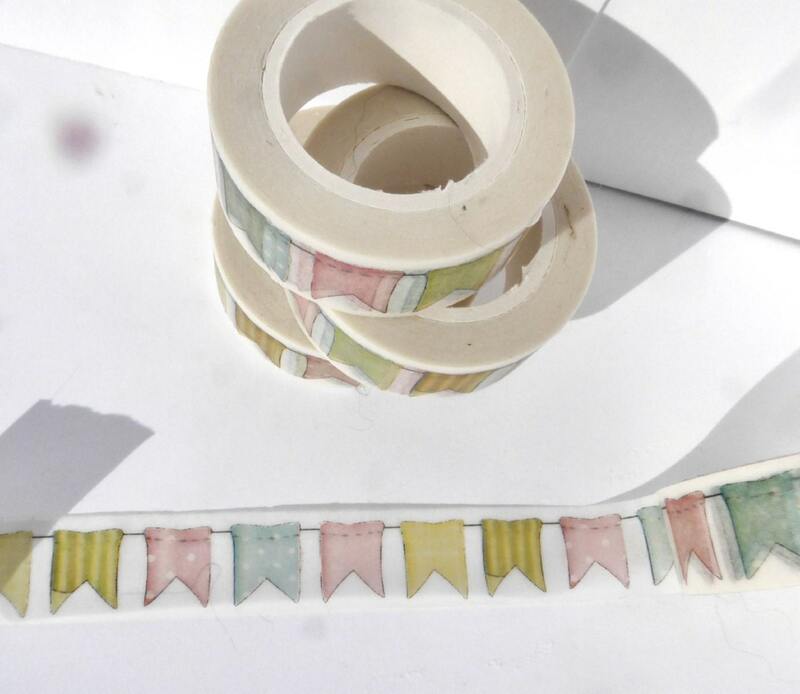 Washi tape can be easily torn by hand and can be written on. 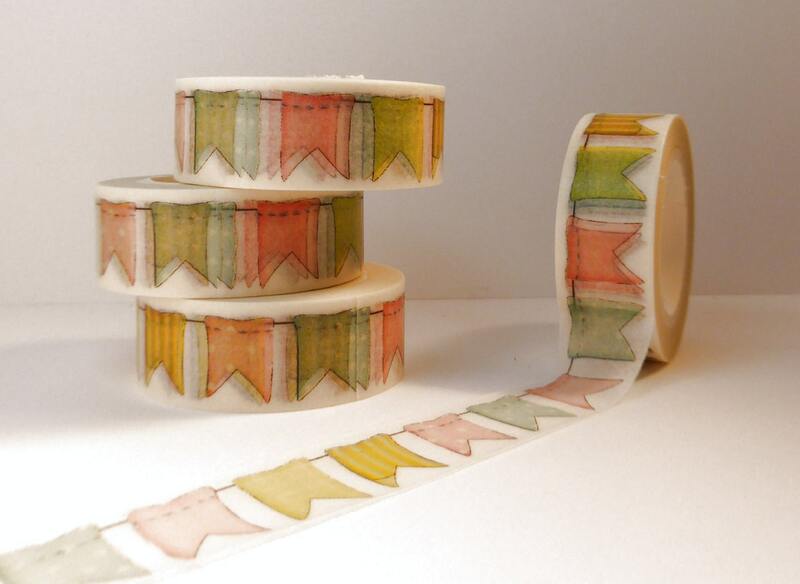 Use it to label items or to leave a quick note.